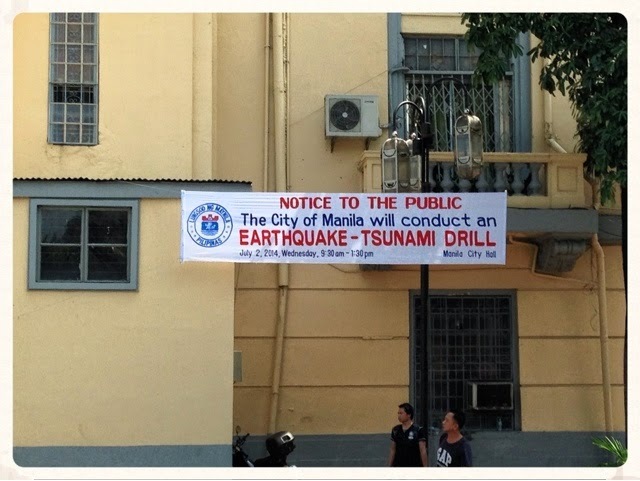 Manila City-Wide Earthquake & Tsunami Drill - Triple Joys!!! 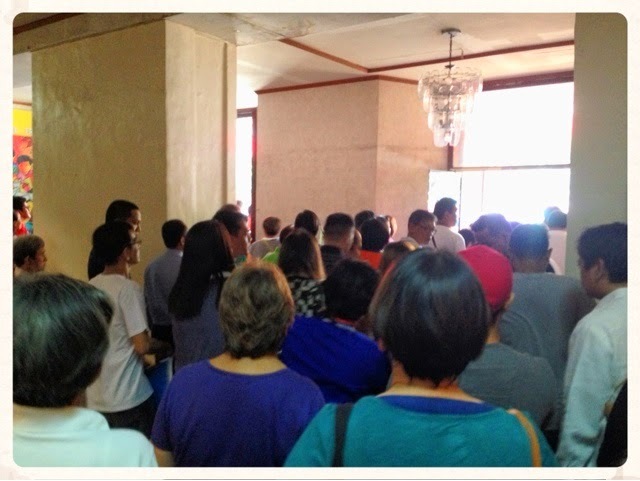 Yesterday, July 2, 2014, in compliance with the Notice issued to all City and Court employees holding office in Manila City Hall, conducted an Earthquake & Tsunami Drill. 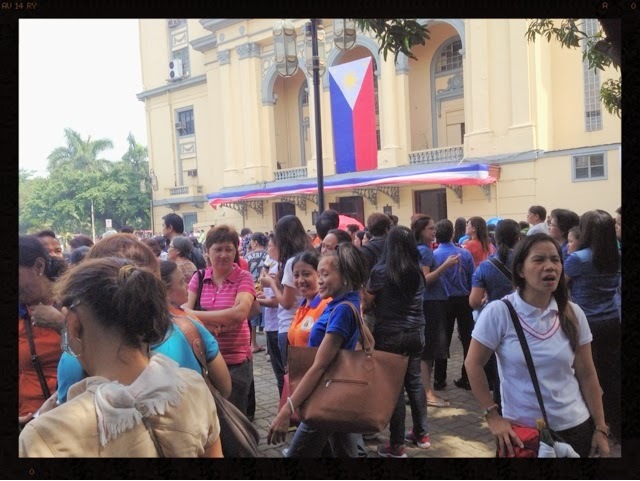 Everyone was enjoined to participate in the said activity as non-participation can be penalized with imprisonment, fine or both under the provision of Fire-Earthquake Drill Ordinance of the City of Manila No. 7753. 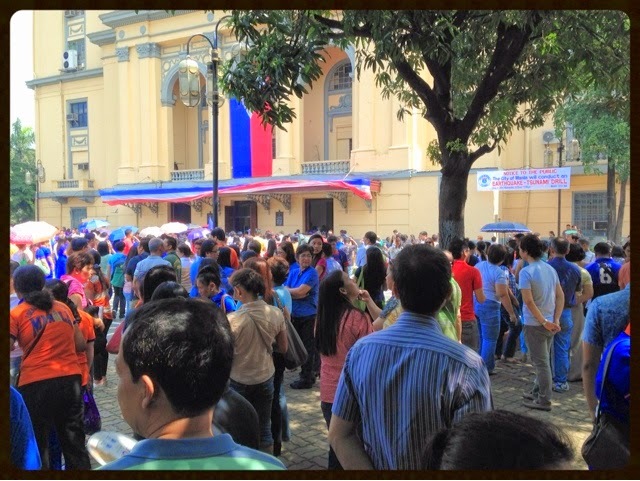 Earthquake Drill was scheduled at 9:30 AM. 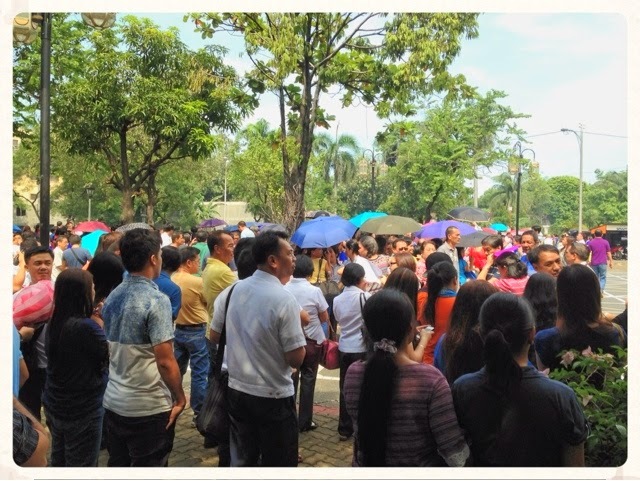 As per notice, we are supposed to go out of our office only after the 2nd alarm was heard. But as more than 5 minutes had already elapsed, and we were not able to hear any alarm yet, we already peek outside and that's the time we learned that the other employees were already going down. What happened to the alarm?! Anyway, as we were all going down, that's the only time that we heard the alarm. The alarm can't be heard from our office at the 5th floor. If this will also be the case during real life scenario, I guess we will all be trapped already. How unfortunate! Below is a photo I've taken while people are going down and going out of the building. In real life scenario, this can really be dangerous and risky as the doors where we are supposed to come out are really small ( I'm likewise not sure if all three doors were even made open) which make it very prone to stampede. We stayed there for less than an hour, and each department/ office were made to list the names of those who participated the drill. 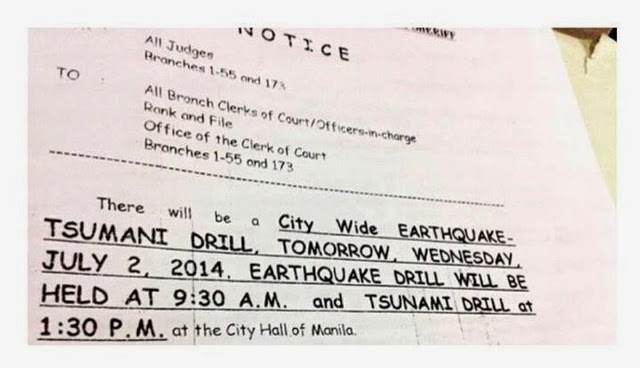 This, I think will be their way of determining casualties, if ever an earthquake will really happen. The Tsunami Drill was set at 1:30 on the afternoon. But as we are staying at the 5th floor, we were advised to just remain in our posts. Only those staying and occupying the ground and second floors were advised to evacuate and occupy the 3rd, 4th and 5th floors. 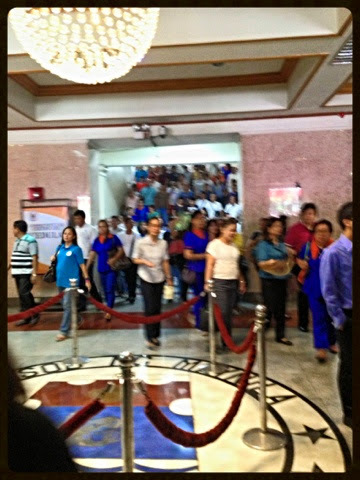 But, most employees just stayed at the 3rd floors, as relayed to me by one of my officemates.